The body's immune system is a valiant weapon against disease, and harnessing its power through a technique called immunotherapy is at the forefront of current research to treat cancer and other diseases. That's why an unexpected finding by University of Notre Dame researchers and their collaborators, related to the way two distinctively different peptide antigens react with one T-cell receptor (TCR), tosses a new wrench into the process of building better molecules to develop immunotherapies. "Essentially, we discovered that T-cell receptors can be much more cross-reactive than we previously envisioned, which is somewhat concerning for the entire field," said lead author Timothy Riley, Baker's former graduate research assistant and now co-founder and chief scientific officer of startup Structured Immunity, a company incubated through Notre Dame's IDEA Center that aims to de-risk early stage immunotherapeutics. T cells are a subtype of a white blood cell responsible for sensing whether you're healthy or have an infection, but they often ignore cancer cells as a potential threat. In T-cell immunotherapy, some of the cells are altered to contain receptors that allow the T cells to seek and destroy specific, undesirable cells when the receptor reacts with specific peptide antigens, an action required to induce an immune response. While the treatment is effective in some cases, in others, it can destroy healthy cells. Therefore, researchers seek to predict reactivity and assure the reaction is specific only to the cells they want to target. Baker's lab, which has experience in analyzing that TCR, decided to delve deeper. "We thought the TCR was ignoring small differences (in the highly charged target) a little bit, and simply found things similar to recognize," said Baker, who is also affiliated with the Harper Cancer Research Institute. "But that was wrong. We discovered that this peptide moved and adapted in order for the receptor to bind, in a way that no one had seen before." The two different peptide antigens worked equally well at binding with DMF5, stimulating the receptor and inducing an immune response. "It doesn't really matter how it works, as long as binding occurs," Riley said. Though the discovery is notable for increasing the understanding of how to develop immunotherapies, it's an unexpected challenge to overcome, Baker explained. Though the current research was completed on just one TCR and that only two peptides were evaluated, he noted, it's likely that others may function in a similar way. "What's significant is that people try to make predictions for developing these models for therapy, and about the kinds of ways you can recognize targets," he said. "And this is a new, unanticipated complication." Researchers have dealt with the knowledge that some TCRs can attack healthy cells as well as the life-threatening ones they've been engineered to tackle, and have built that concern into their studies. "But for those people who are trying to take advantage of that biology to develop immunotherapies, you have to be worried about this new issue and build it into whatever design platform that you have," Baker said. Armed with this new discovery, however, Riley is up for the challenge. 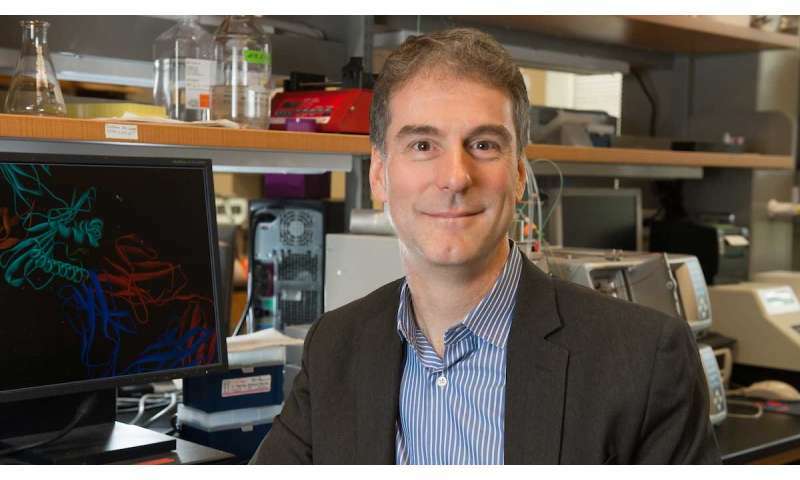 "Now that we have great examples of a T-cell receptor recognizing multiple peptide antigens that are structurally different, we can use them to build hypotheses and test predictions," he said.